Did you know that the Muslim Holy book, the Koran explicitly says that the Jews will return to the Holy Land before the last judgement? Therefore, from an Islamic point of view, Israel is the legitimate owner of the land God deeded to her and whose borders were defined by Abraham in Genesis. 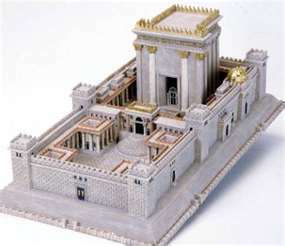 This knowlege will eventually allow for the rebuilding of the Third Jewish Temple as more and more leaders of Islam come to realize their opposition to the Jewish State's existence is in opposition to their own Holy book's teaching. It might take a war to beat down the radicals, but Islam will finally come to the table. In the meantime, the Jewish Sanhedrin has declared the coming year, (starting in the fall), to be a year of Jubilee. Now, there is likely nothing particularly prophetic about the announcement, but we do find it heartening given a song we like to sing about the year of Jubilee and the coming of Jesus Christ. A prominent Turkish Muslim leader hosted a gathering of Israeli rabbis to call for an end of anti-Jewish sentiment in the Islamic world, saying he looks forward to the rebuilding of the Third Temple in Jerusalem. Adnan Oktar welcomed the delegation, including Rabbi Dov Lipman and Rabbi Ben Abrahamson, for an iftar dinner during Ramadan in Istanbul. The dinner included other Muslims and Christian representatives as well. Lipman, a senior officer of the World Zionist Organization, said he was very pleased by the friendship and goodwill he experienced. After a full year of deliberation, the Nascent Sanhedrin has announced that this year, (coming up), is the first year in the counting of the 50-year Jubilee cycle. This not only reinstates a Biblical commandment, but it has implications for Israel’s status as a Biblically mandated nation, returning the land to the Jews and ensuring each Jew an inheritance in the land. The Jubilee (Hayovel in Hebrew) is a Biblical commandment that is observed exclusively in the land of Israel. It is the fiftieth year that comes after a period seven sabbaticals. The year triggers a number of Biblical commandments concerning property rights and returning the land to its original inheritors, the Jews who were allocated the land by lottery. Debts were forgiven and slaves who sold themselves due to debt were set free.